Hello – and thanks for visiting. 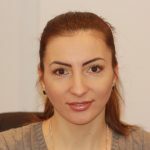 Having qualified from Manchester University in 2002 and after many years practising on the Kings Road in Chelsea, I opened Finchley Dental Lounge in 2010. I love transforming people’s attitudes towards dentistry and my mission is to prove that dentists don’t have to be scary! I really love what I do; aside from the practice, I undertake around 50 hours of dental courses per year and enjoy swotting up on the latest dental developments in my spare time. Naturally, my wife thinks I’m crazy. 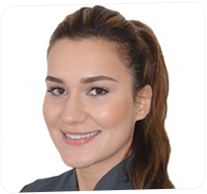 Professionally, I am experienced in cosmetic dentistry and whitening procedures, denture-work and orthodontics and completed the Chris Orr course in Advanced Cosmetic and Restorative Dentistry. But qualifications aside, I suppose my real joy is looking after nervous and apprehensive patients. I have a beautiful (and patient) wife Samantha and have two lovely girls, Scarlett and Savannah as well as my little boy Charlie. They are happy to support me in my other passion – cooking – they are wonderful guinea pigs when I experiment with new recipes! I qualified as a Dentist in 1991 from UCH and I have worked in several surgeries over the years. Most recently I was working in Hampden Square, Southgate and prior to this I worked with my father who was also a dentist, but has since retired. 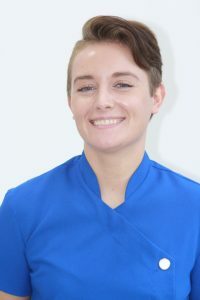 I pride myself on caring for my patients and feel privileged that many have followed me over the years and look forward to seeing many of them at Finchley Dental Lounge. I enjoy all aspects of dentistry, especially the patient care side of it and I have a close and trusting relationship with all my patients. When I am not working, I am a busy mother to four children ranging from ages 10-15! I was working here before Finchley Dental Lounge took over in 2010 so as well as knowing some of you already, it’s really exciting to see all the fantastic changes and be part of the future plans. Rob and I have a similar approach to patients and with all the additions to patient care like the movie glasses (a friendly treatment distraction!) and drinks menu I can see great things ahead, especially thanks to your feedback and help. Outside of work, I try to fend off old age by playing football and tennis regularly. I’m married to Pooja and father to Amber and Aarav. I have been qualified as a dental nurse for over 6 years. A few years ago, I decided to become more involved in the management of the surgery and now my job as a receptionist is to ensure that everything runs smoothly and professionally. I joined Finchley Dental Lounge in January 2017 and it feels like part of my family. Outside of work I enjoy singing, cooking and spending time with my family. If you have any questions or concerns about your dental treatment, please feel free to get in touch. I qualified from ‘Barts and the London’ in 2011 as a dental hygienist and therapist. 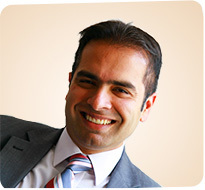 I am really happy to be a part of Finchley Dental Lounge. 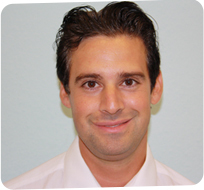 My role is to assist in the prevention and treatment of oral diseases and in particular periodontal or gum disease. I am passionate about supporting patients in treating and monitoring their oral health. This basically means that I care about your teeth and gums and want you to care about them as well!! Outside of work, I am a qualified personal trainer and spend lots of time in the gym or outdoors, leading a healthy lifestyle. I worked as a Trainee Dental Nurse since 2015 and became a qualified and registered Dental Nurse in June 2017. I like all aspects of Dental Nursing in particular meeting the patients and caring for them throughout their treatments. 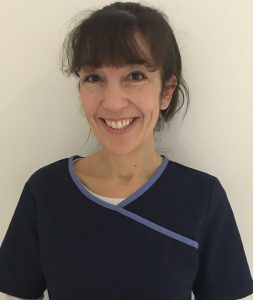 I joined Finchley Dental Lounge in October 2017 and it is a pleasure being part of the team. Outside of work I enjoy spending time with family and friends, and of course some retail therapy!